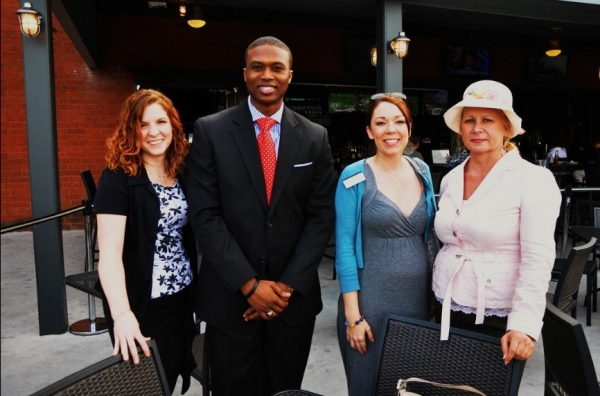 In January of 2005 the Charleston Networking Association was founded by Henry Ravenel Jr. Recognized by Mayor Keith Summey and formally structured in the City of North Charleston SC, the official chartering was established in May of 2005. Chartering members were W. DeShean Garrett, (Fayetteville, NC) Jerome Howard, (Charlotte, NC) Donte' K. Aklin, (Myrtle Beach, SC) Patrice Heyward, (Charleston, SC) Jovene Milligan, (Charleston, SC) and Henry Ravenel (Charleston, SC). These chartering members saw the need to come together to form an entity that would serve business communities in accomplishing their goals towards business growth, high quality of life and community independence. The Association was comprised of regional business owners, economic development members, educators, media, community based organizations and decision makers who all had one common goal: To develop strategies and set policies to better serve all business interests throughout the Region. 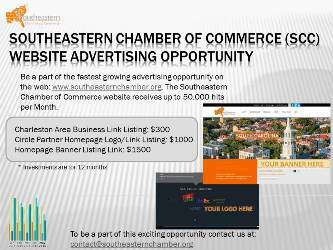 In 2011 the organization amended its organizations name to the Southeastern Chamber of Commerce with a desire to do business beyond the networking walls of Charleston. The Chamber hosted their first "Awards Night under the Stars" in October of 2005. The event space was sponsored by John Rivers Enterprises, and held at the Fountain Walk, neighboring the South Carolina Aquarium. At this first member-based event, they recognized State leaders, local businesses and professionals for their dedicated efforts to economically enhance the region. Over the years the Chamber has offered a wealth of networking events, organizational meetings, consultations, workshops, community-based projects, conferences and membership drives. 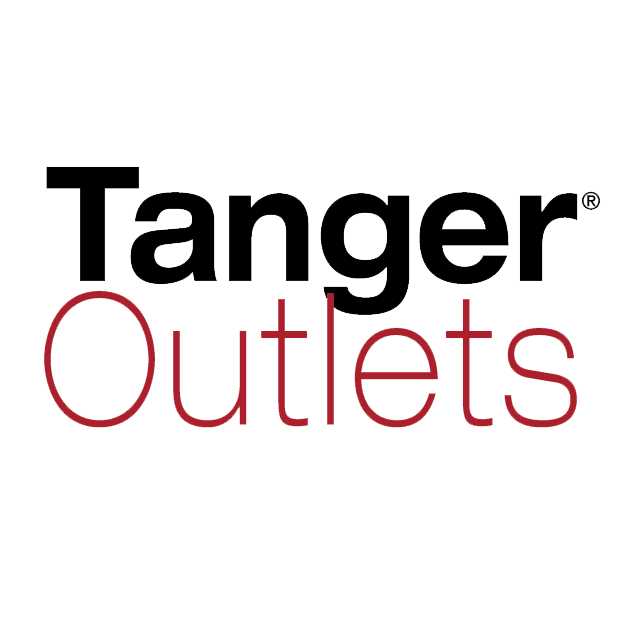 Their key beneficial events and accomplishments have been "Wednesdays with the Bank", "First & Final Friday Networking Mixers", and the "Quarterly Chamber Meetings & Orientations". Headquartered in the City of North Charleston, the Chamber has one of the most supportive political and business communities on their side. With this support, their innovative strategic plans for continued regional enhancements will be realized. Through the tireless efforts of the Chamber and their supporting businesses and member base, they have continued to raise the economic bar, and, maintain high standards for the future. With scheduled Awards Galas, Seminars, Retreats, CEO Round-tables, Entrepreneur Week Conferences and Training Sessions, which are all expected to attract a record number of attendees, the Chamber is progressing forward. By joining the Southeastern Chamber of Commerce, members are investing in not just local cities; but also in the building of a diversified business corridor. The Southeastern Chamber of Commerce has released a "7 Core Cluster Targets of Work", which continues to focus on the formal structure of its organization, and defines an unsullied list of initiatives designed to positively impact regional and economic growth. They have studied various markets and designed a blueprint by hearing diverse testimonials from various professionals and business owners within the region, as many share similar concerns. Based on these statistical concerns, the Chamber gears its programs and services towards educational and informative solutions, all designed to benefit the new and potential investors of the organization. The SCC is a nonprofit, membership organization dedicated to improving businesses and tourism throughout the Southeastern Region.